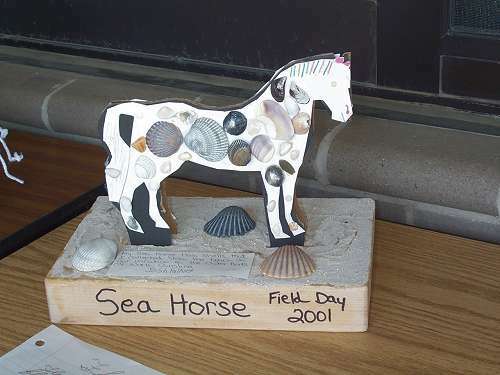 As part of their end of the school year activities, Pine Brook Elementary School held Field Day 2001 with a Horses On Parade theme. 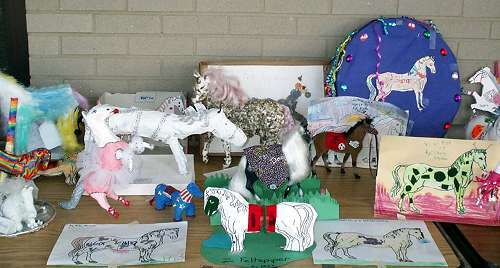 The day included outdoor activities and each student had created their own Horse On Parade. 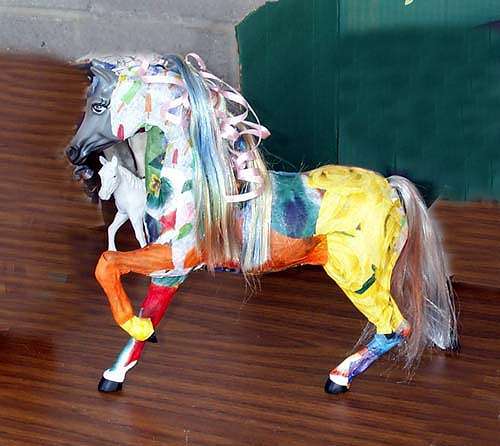 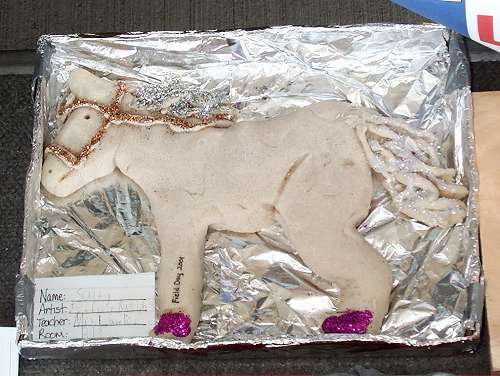 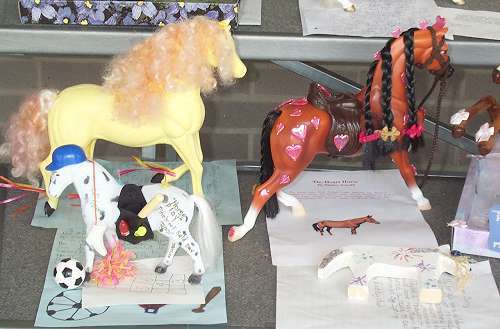 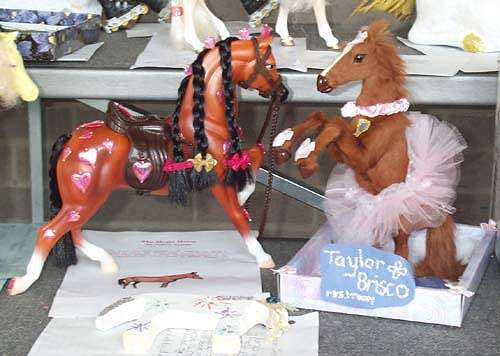 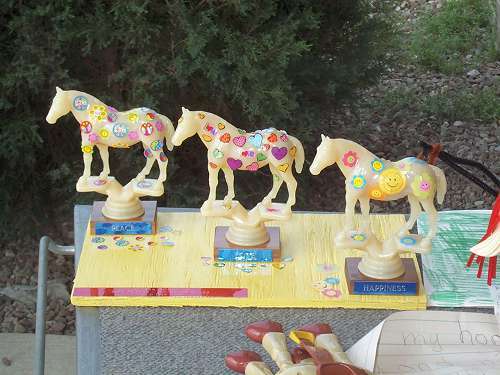 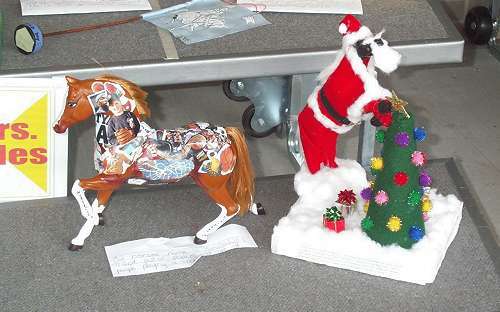 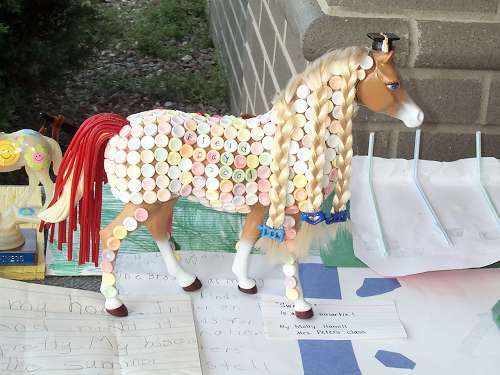 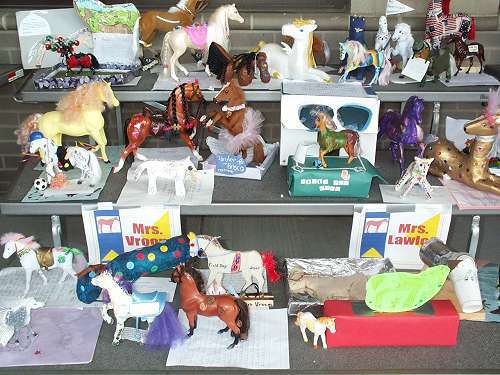 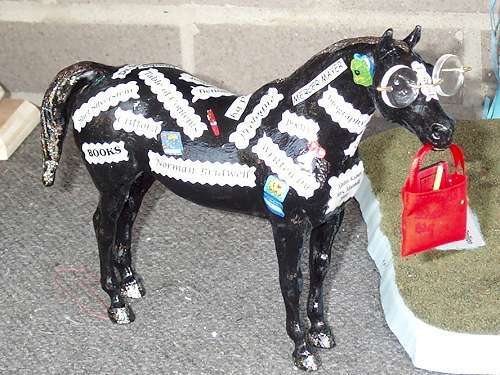 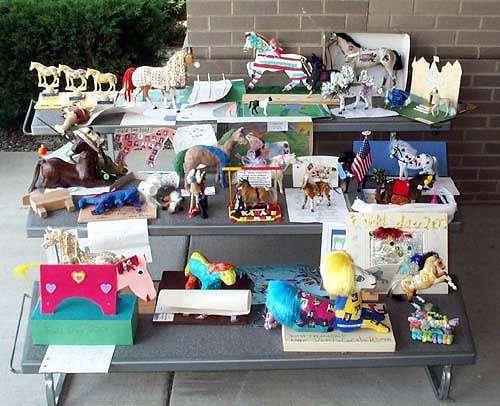 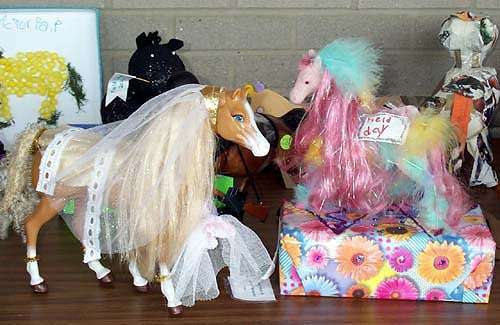 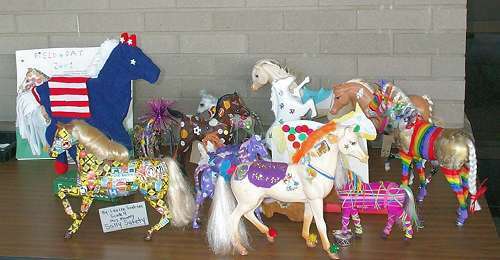 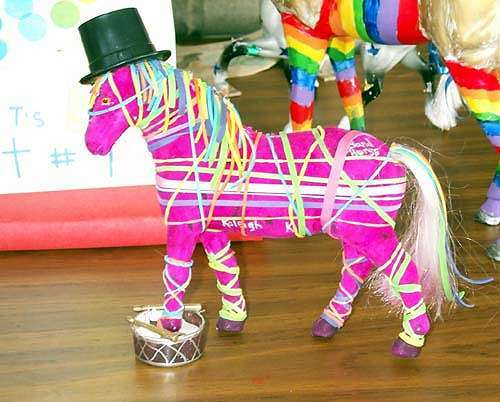 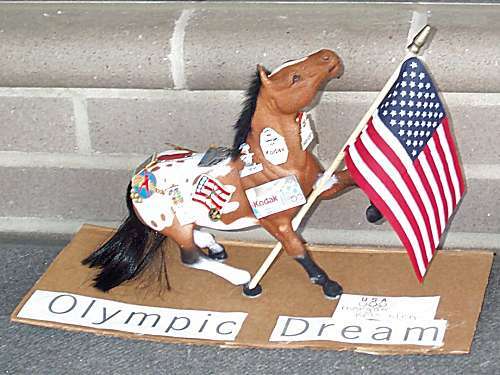 Over 500 student-made horses were on display of which a small sampling is shown here. 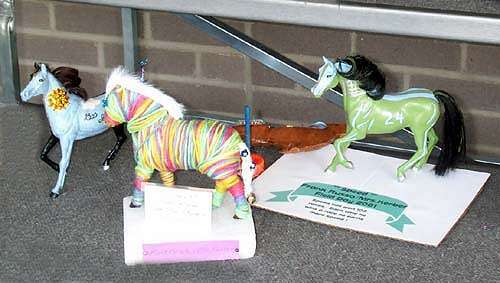 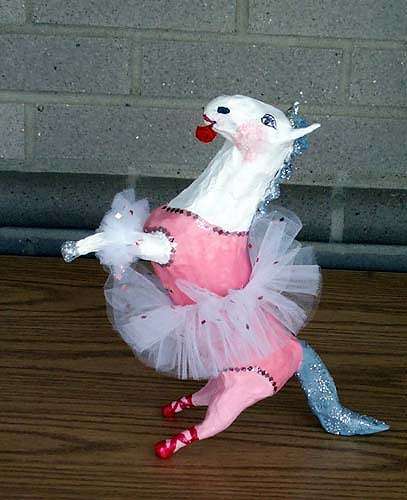 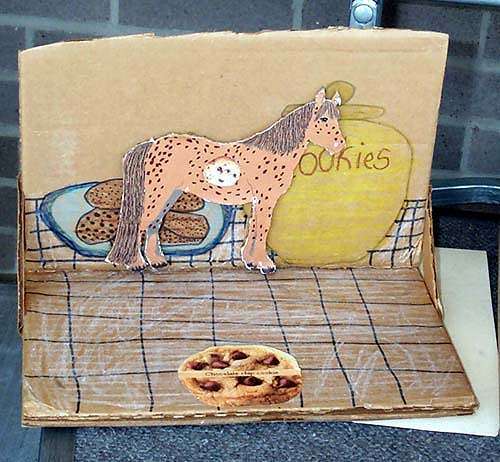 There were both 2- and 3- dimensional horses. 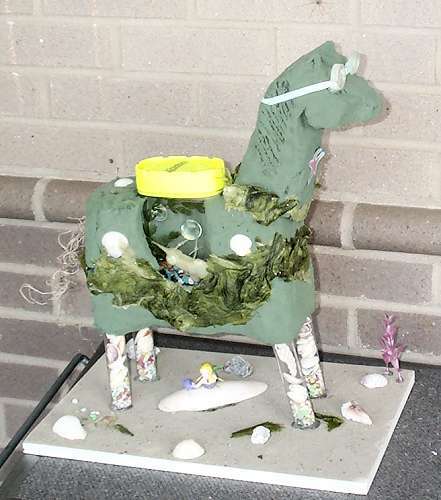 There were several sea horses, one incorporating a fish tank and fish. 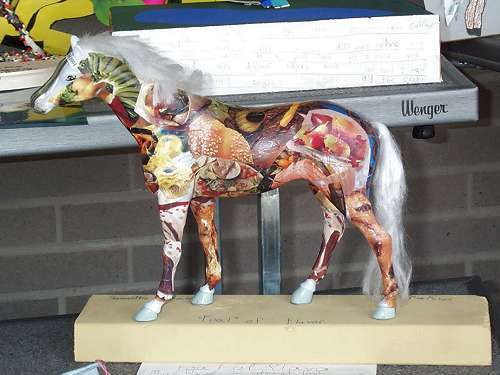 Many styles were used and some horses were an homage to some of the 157 large horses that have been placed around Monroe County. 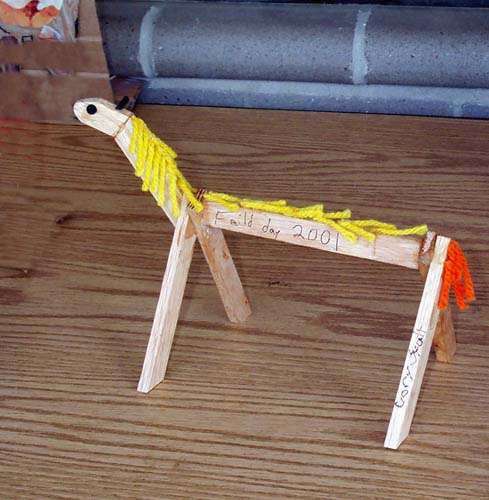 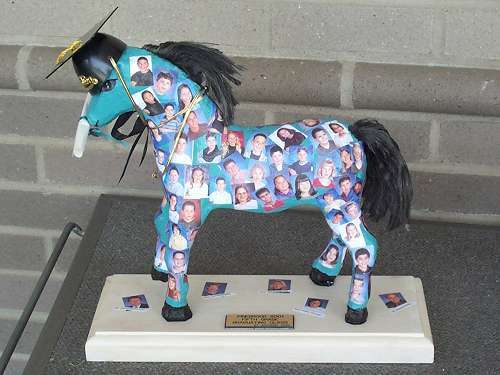 There is a Smarties horse and one student used photos from a class picture to honor his classmates with a Graduation horse. 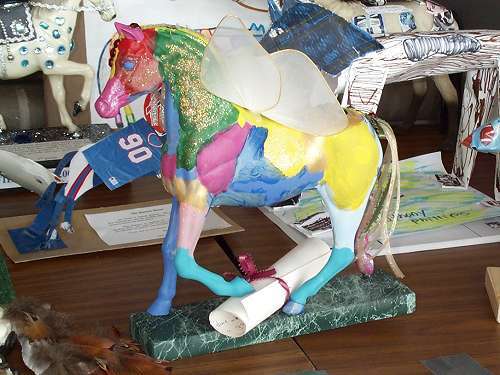 The energy and creativity expressed in this project is a tribute to the teachers, students and volunteers of Pine Brook School.